All I need is a high decibel timer to jolt me out of my reverie. I think that’s why I love cooking rice. It’s one of those foods you can cook while watching your favourite show. One of those foods that never goes wrong for me. If I am cooking pasta, I have to worry about “al-dente’, the perfect cooking point and many other things like: having a rolling boil and even imagining I’m Goldilocks, (not too hot, not too cold, but just right). Some cooking sites even advice you to stir the pasta in a figure eight motion and then ‘shock’ it in iced water for 3-5 minutes. Others say the cooking water should taste like the ocean, so add salt liberally. 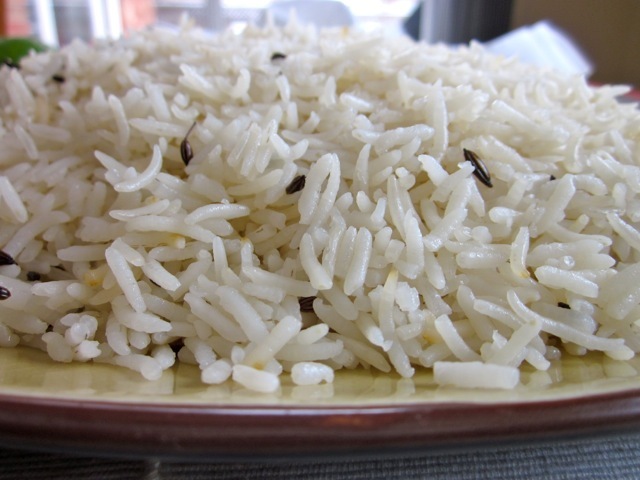 Today I’ll share a simple and elegant rice recipe. Not too many controversial instructions but a very tasty outcome! Please, always remember to assemble all ingredients, before you start. Cover the pan and simmer for 12 minutes, then put aside for a further 10 minutes. Do not lift the lid. 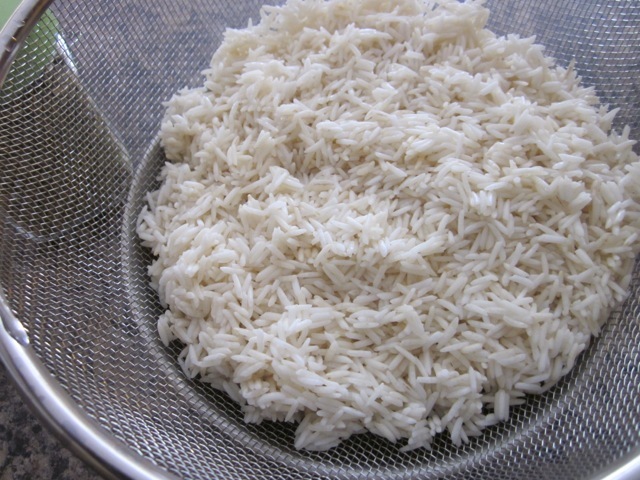 Soak the rice in cold water for 30 minutes. Drain thoroughly, set aside. 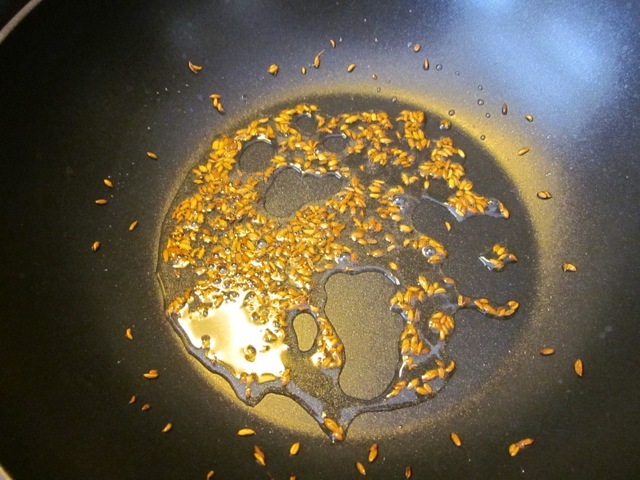 Heat the oil or ghee in a pan. 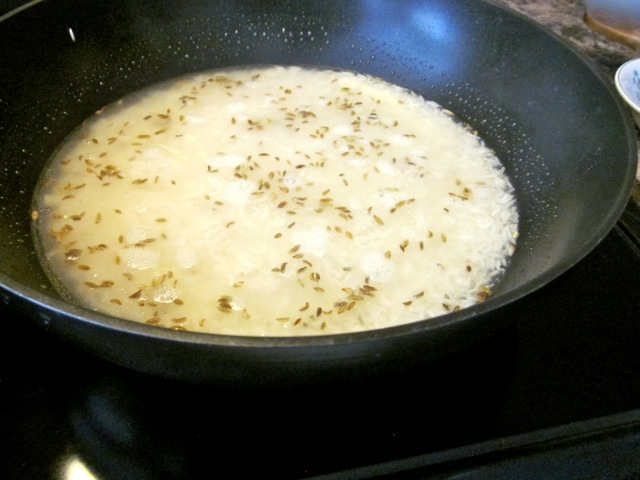 Fry fennel seeds over medium heat until browned. Add rice and salt, stir and fry for 5 minutes. Lower heat in the last 2 minutes. Add water and bring to the boil. Cover the pan and simmer for 12 minutes. Please do not lift the lid during the twelve minutes. Remove from heat and leave undisturbed for a further 10 minutes. 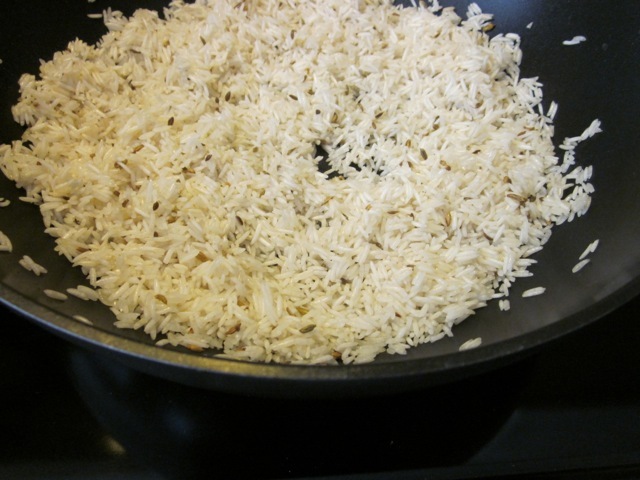 Lift the lid, fluff the rice and serve. The water will drastically reduce in the first six minutes. Just lower the heat and make sure it doesn’t burn at the bottom- do not lift the lid. If you prefer less oil, reduce it. I used 2½ tablespoons. You can also use other aromatic seeds like ajowan, caraway or cumin. 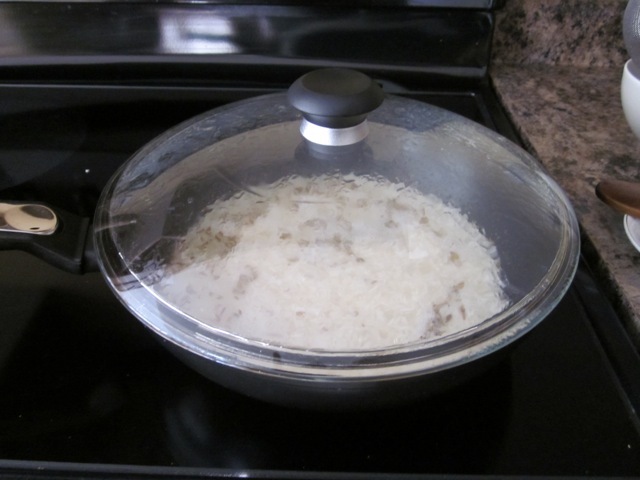 For long grain rice, simmer for 15-18 minutes. Then set aside for another 10 minutes. For long grain rice and 2 scant cups water for every cup of rice. 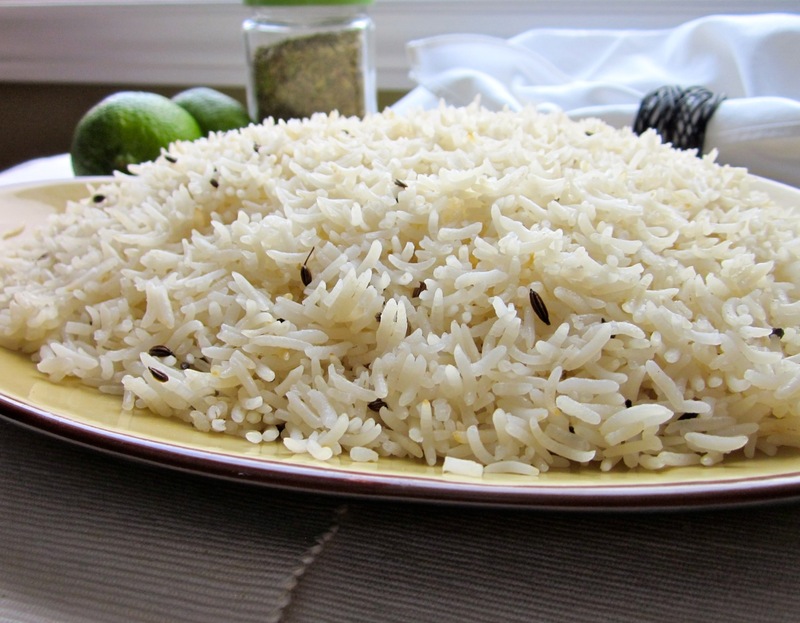 For every cup of Basmati rice, use 1½ cups water. This recipe works very well, thank you! I’m glad to hear that. Thank you so much for the feedback. Best wishes! So simple yet so flavorful, I will be using fennel seeds more often now. The only reason I tried this recipe was because I never knew what to do with fennel seeds. This was perfect. Omg thank you so much for making the simple rice that I love so much. My son loves it too. When I make it he eats more than three helpings. I wish you a very pleasant week! 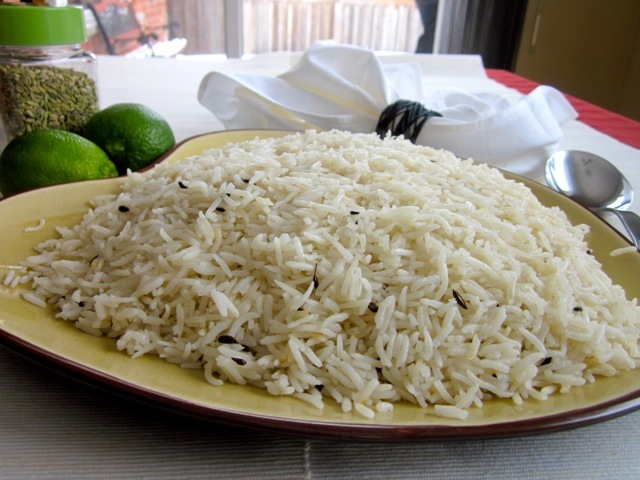 – Iranians are big in rice (polo, chelo). Cooks’ talent is measured by how well the rice turns out. You may already know Iranian cuisine has innumerable varieties of mixed polos. So far, I have posted four varieties and am planning to post more. 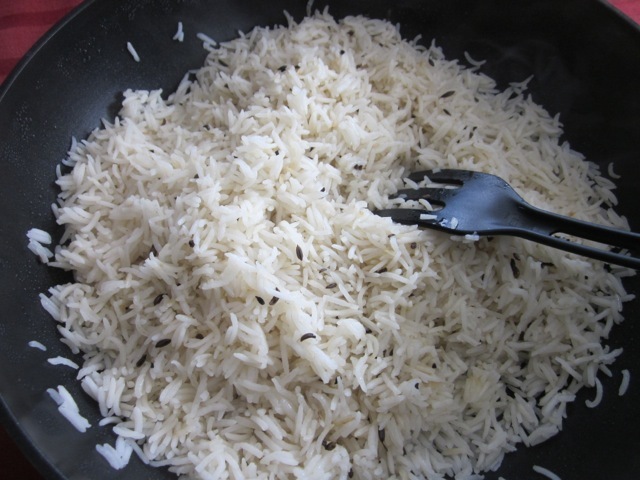 – My compliments to how your fennel seed rice (we call it kateh style) has turn out, rice grains elongated, separated and not sticky. 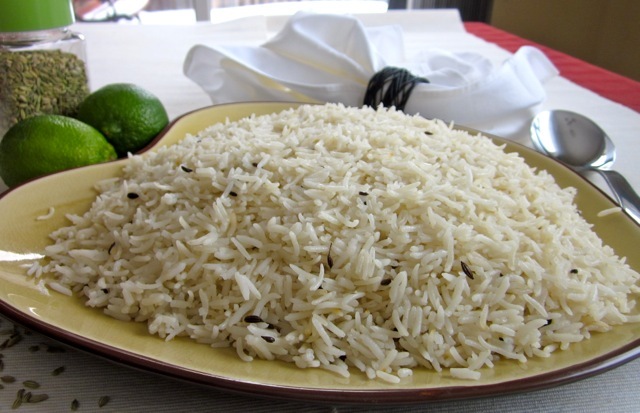 Have you ever tried making rice with tah-dig (variety of ingredients used for crusty bottoms)? I shall check out what you’ve posted so far. Thanks for complimenting the rice. 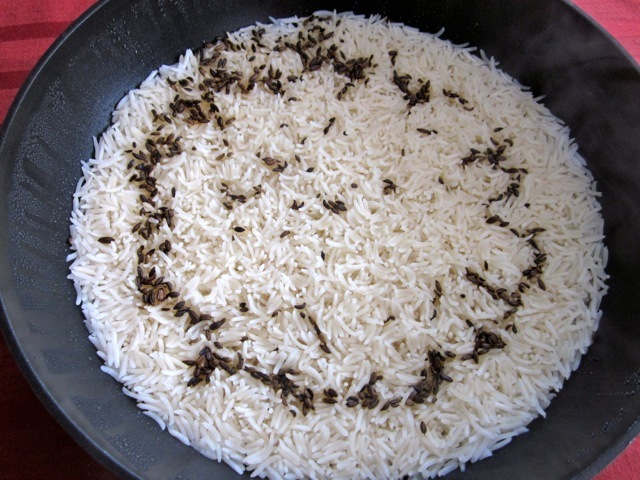 I have never tried rice with tab-dig maybe you can share with me some recipes. I have just heard of the crusty bottoms but never sampled or made them. Thanks so much for the multitudes of likes. They are more than appreciated!!! I hope you have a lovely week! I have looked at the recipe and bookmarked it. Thanks for sharing. What is it served with? Just tried this with some Moroccan rub salmon, and it was delicious! Thank you so much! One change I tried was adding a green tea and mandarin teabag to the water for a couple of minutes before adding to the rice. Sounds strange but tasted good! You can’t really taste it but it adds something! Omg I am so elated that you tried out the recipe, you should see me right now, smiling so broadly. 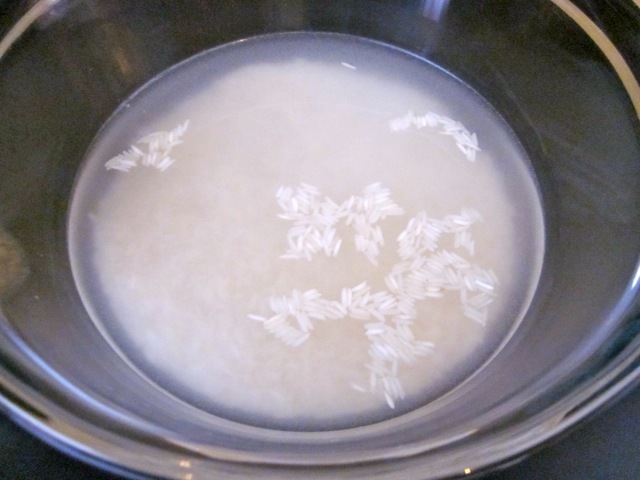 I am so happy that it was delicious, thank you so much for trying out this simple but elegant recipe, it’s one of my favourites, my son really loves this rice. Now green tea and mandarin, thats new to me, but I love trying out new things, so I will try it out this week and let you know how it turns out for me. I have just googled the green tea and mandarin, I shall buy it tomorrow. You have made my day. Thank you so much for trying out the recipe, and wish you a wonderful week. This is very cool! I think the rice can be further processed into something else besides being eaten as it is. I wonder how it will taste like if it is sauteed with butter, turmeric, chili flakes, date-fruits and mutton. I once did it with Indonesian rice cooked with coconut milk and bay-leaves. It tasted wonderful. I cook rice at least three times a week, sometimes four, and I’m always adding some new ingredient in it. Coconut is one of my favourites, turmeric when I want it yellow, date and fruits when I want some Pulao, vegetables, cumin, cloves, garlic, it’s my favourite carbohydrate. I’m glad you like rice and coconut too, I have piles and piles of coconut milk and small sacks of basmati rice. Thank you so much for your kind words. I want to encourage people to cook by posting great photos, the only thing that ever made me want to cook was a great photo of what to expect. I’m glad I found your blog too, you talk about many interesting things. Thank you so much for stopping by and for having a conversation with me. Have a wonderful week! Omg Sheila I am so glad to “see you” You have made my day. You know what? 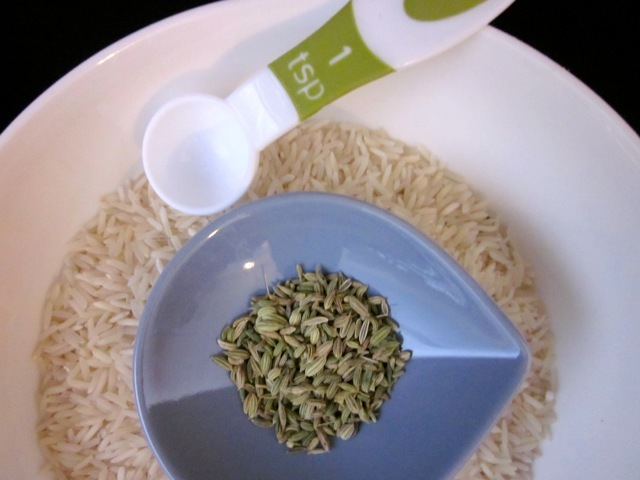 Jimmy loves the rice with fennel seeds you have to literally threaten him to stop eating. Add I love it too, it’s so simple to make but makes such a big difference. I am so glad you tried it. Thank you so much…Enjoy the rest of your week!!! When I tried the rice, it tasted exquisite. 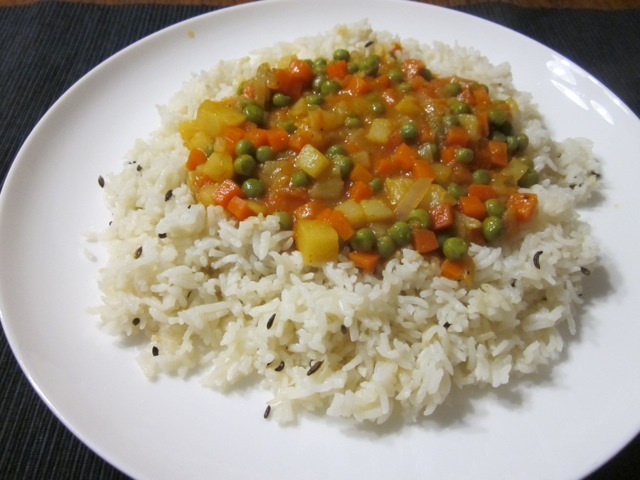 It had a nice salty taste and the fennel seeds added a great aroma to the dish. I liked it. Izabi, thanks for visiting my blog. I can’t reciprocate because you did not leave a link to your blog! Hmmm, interesting way of cooking rice. I’ve been eating rice all my life but have never seen it cooked this way. This is my favourite way of cooking rice, as long as I am not cooking for 100 people. It leaves each grain beautifully separate. Thanks for visiting my blog again!! !